Last new entry, and last character, from The Amazing Spider-Man 2: when Electro makes his debut in Times Square and is defeated by our friendly neighborhood Spider-Man, he’s brought to the Ravencroft Institute, a criminal asylum in which he’s supposed to be reeducated. 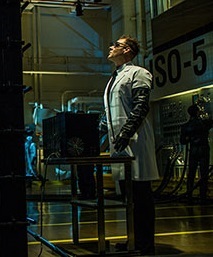 Unfortunately, Oscorp has tentacles everywhere, and Electro becomes the guinea pig for the gruesome experiments of Dr. Ashley Kafka, portrayed by Marton Csokas. Needless to say, the German scientist discovers it’s not a good idea to mess with a supervillain. He’s likely the character who suffered the greatest change from the comicbooks: first of all, he’s not such a Nazi-like psycho in the comics, quite the opposite. Second, he’s not a “he”. 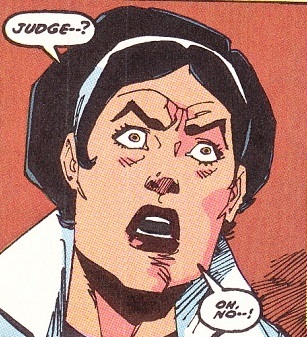 In the comics, Ashley Kafka is a woman, even if her role in Ravencroft is more or less the same as it is in the movie. Let’s see together. Born in Portland, Oregon, Ashley Kafka moved to New York City when her parents split up, while she was still very young. She grew up with her mother, a weak-willed woman who let her be the housewife, and Norma, her mentally handicapped sister. Since her mother was unable to cope with Norma’s state, it was up to Ashley to take care of her, and she did it the best she could, at least for a child. Growing up, Ashley became more and more intolerant towards Norma, especially since she sacrificed all her adolescence to her: while other boys and girls her age had fun altogether, she was forced to take care of her sister, a situation she couldn’t bare anymore. The girls’ mother died of some disease when Ashley was nineteen, and for her this was the occasion she had waited all her life for finally thinking of herself: she left Norma in an orphanage, and started living her own life. The place, however, wasn’t the best possible, and Norma died little after: the sense of guilt, albeit subconsciously, ended up molding her life nevertheless, and Ashley entered Empire State University, where she gained a degree in Psychology. As a therapist, she eventually kept living her life taking care of other people’s problems instead of her own, but she proved to be one of the most skilled people in her field. She started specializing in criminal insanity, and achieved many successes with experimental therapies. Her studies gained the attention of US Government, that funded her researches and helped her found the Ravencroft Institute: the asylum was built as a maximum security facility, with a private security guard an an extremely skilled equip of therapists. At fifty-four years old, Dr. Kafka had finally given a shape to her dream. Ashley Kafka is a brilliant and skilled psychologist, a woman with a strong personality who never gives up in front of anything or anyone. Firmly believing that anyone can be rehabilitated, she tries her best to “cure” also psychos like Carnage or Carrion, and other deranged supervillains such as Venom, Chameleon, Shriek, Vulture, Electro or Doctor Octopus. Her faith in her own methods often brings her to a blind arrogance, that leads her to make more mistakes that she would normally afford herself to do: her greatest strength, in this moments, also becomes her greatest weakness.